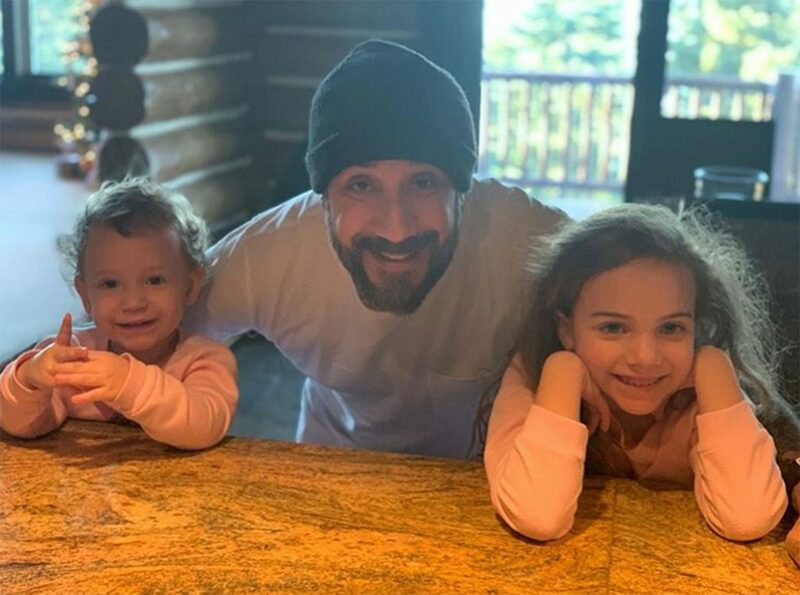 Being famous when you’re a parent certainly has its perks, but there are definitely hard parts too — just ask AJ McLean. The Backstreet Boys member and newly-minted country artist made an appearance at Sunday’s ACM Awards in Las Vegas, where he spoke to Entertainment Tonight on the red carpet about the challenges of balancing his flourishing career with being a present father to his two daughters: Lyric Dean, 2, and Ava Jaymes, 6. “My oldest actually, about five days ago, had mommy send daddy a text saying, ‘Can you stop being a Backstreet Boy and just be my dad?’ ” McLean, 41, revealed of the heartbreaking message he got from Ava. One thing that makes it a little easier is that fact that all four of McLean’s group mates — Kevin Richardson, Brian Littrell, Howie Dorough and Nick Carter — have children, meaning they face similar challenges and can give each other advice and support. “Plus, Mommy gets to be home to try to explain to my girls, ‘Be thankful Mommy and Daddy are both not working. Mommy gets to be there but Daddy always, always comes home,’ ” the singer added. The musician revealed that he recently “broke down” over his song called “Give You Away,” which is about his daughters and will be available on his forthcoming country album Long Road, due out this spring. “I broke down before I even sang the first line and I barely made it through the song, but I did,” he recalled, also sharing proudly that Ava won first place in a dance competition over the weekend. McLean admitted that despite the challenges he faces in balancing his career and home life, his girls are his “No. 1 fans” — and he doesn’t hesitate to bond with them in the ways they want to connect. McLean’s first country music single, “Boy and a Man,” is available now on amazon.com.